Children 5 yrs old or younger: Free! Please make your reservations early. Seating is limited. Come join us for a sumptuous buffet that is sure to have something for everyone in the family to enjoy. Every year we run out of space! Get your photo with the EASTER BUNNY! Reservations Required. Open to all City Club Members and Invited Guest(s). Call the Club at 225.387.5767, by email at cityclub@brcityclub.com, or online visit the Members Only Area @ brcityclub.com. Member General Dining at the Club is open from 5:30 till 9:00 Wednesday - Saturday. Please indicate a seating time when making your reservation. Enjoy a movie, family dining and fun at City Club's Family Dinner Night (First Wednesday Every Month)!!! Wine Society members are invited to enjoy a black-tie gala evening of truly fantastic wines as well as excellent culinary pairing from Chef Brandt. Note: All dates are subject to change. In the event of a change, we will make every effort to contact all members. Valet parking is available ($3 fee) anytime you have lunch or dinner at the City Club. 2019 - 2020 WINE SOCIETY SEASON - REGISTRATION OPENING LATE SUMMER! The Wine Society annual season features three Tasting Receptions (Wine Discussion before), four seated multi-course Dinners including the Black-Tie Gala. The Wine Society is open to all City Club members to join. 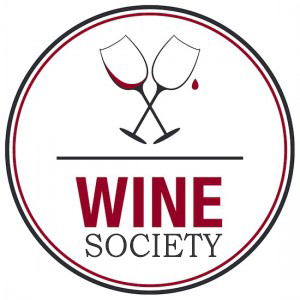 The Wine Society has something for everyone, from people just beginning to find enjoyment with wine in their lives and wanting to learn more to the well versed fine wine lover looking to share their passion with others of their appreciation for fine wines and exceptional food. That's the simple part, email the Membership Director, Mary Milton at marymilton@brcityclub.com or by calling 225.387.5767 to start enjoying one of the best social events CCBR has to offer! Space is limited, so please call the Club today to join the Wine Society. Please indicate seating time when making reservation. Enjoy an evening of Jazz (Jazz Trio) music during the monthly Birthday and Anniversary Jazz Dinner. In honor of your special day, City Club would like to treat you to a complimentary a la carte dinner. 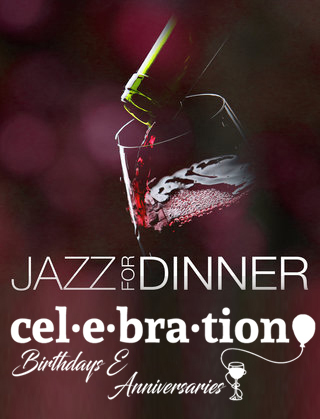 Just bring your Birthday, Club Anniversary and Wedding Anniversary Jazz Dinner Invitation to receive your gratis entree. Birthday and Anniversary Jazz Dinner includes: Birthdays, Club Anniversaries and Wedding Anniversaries. In the event that you are unable to attend this month’s celebration, please consider attending another Birthday and Club or Wedding Anniversary Jazz Dinner. See the Veranda Views for alternate dates. Please note: Except for holidays and Club events. City Club Closed for Good Friday! Please join us during our normal business hours Sat., April 20th. Come join us for a Easter Sunday Brunch at the City Club! Come mingle with friends amidst pearl treasures of the sea and enjoy a wonderful lunch at the Club. The pearl is the world's oldest gem and has been linked to power, love, health, longevity, happiness, humor, wealth, protection and luck. Enjoy lunch with guest speaker, Pearl Prizes and Pearl Shopping. Reservations required - Limited seating. Open to all City Club Members and Invited Guest(s). All ladies attending will receive a beautiful special pearl gift. Our guest speaker is a global pearl producer who will deliver this fascinating and informative new pearl presentation. Wear your favorite strand of pearls and share the memories linked to them! PLUS! All ladies attending will receive a beautiful special pearl gift! After lunch, you will have an opportunity to shop the world’s largest selection of pearl jewelry, including many new designs at incredible savings direct from the producer. $25.00++ per person includes lunch and a special pearl gift. Reservations required. Limited seating. Open to all City Club Members and Invited Guest(s). Pearls are my favorite and they are always in style. This event is open to the entire City Club membership! Join Angela Walker from Republic National Wines, enjoy light hors d'oeuvres, and a friendly discussion of wines under 25 Bucks, and Chef Brandt will demonstrate preparation of Gravlax from start to finish. City Club’s Francisca Comeaux will chair the event. (Includes wine and hors d'oeuvres + Cash Bar for guests). Thursday, April 11th will be a busy day at the City Club! It is Free to attend and includes breakfast. Jim Nickel will provide a legislative outlook for the 2019 legislative session. For all you lawyers out there, this event qualifies for one hour of CLE. Reservations Required. This event is open to all City Club Members and Invited Guest(s). Join the Women of the City during our Monthly Happy Hour networking event on Wednesday, April 10th!! This event is open to all City Club members and their invited guests. 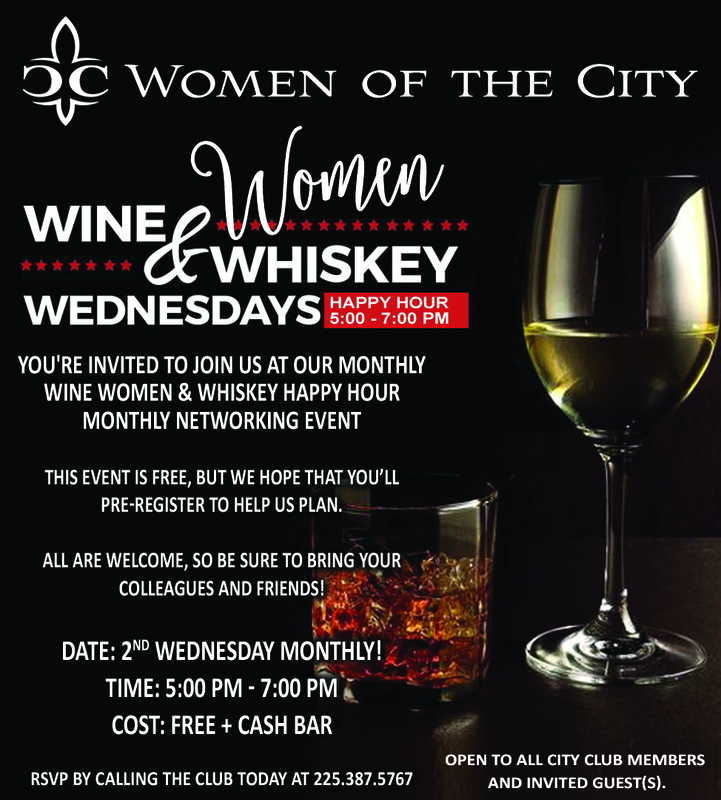 You're invited to join us the Women of the City Club committee for an evening of networking with other business women and men in a warm and friendly environment and share ideas, leads, referrals and resources, every 2nd Wednesday of each Month! This event is free, but we hope that you’ll pre-register to help us plan. All are welcome, so be sure to bring your friends! Chef Brandt will supply us with a spectacular selection of hors d’oeurves, and you’ll be able to charge beverages to your account, or use the cash bar. Please let us know if you will be able to attend. Open to All City Club Members • Reservation Requested. RSVP TODAY by calling the City Club at 225.387.5767! Seating is very limited, so make your reservations today! Join us on Tues., April 9th for an evening with these iconic wines, paired perfectly with Chef Brandt's outstanding City Club cuisine. For more than 40 years, Silver Oak Winery has been producing exceptional, food-friendly Cabernet in Napa and Alexander Valleys while Twomey Cellars explores other varietals from outstanding vineyards and growing regions from California to Oregon. When Tiffany Frazier was offered her position at Silver Oak and Twomey, she had to take a deep breath. “It was true elation and one of the best moments of my life." Afterward as she was sitting outside by the winery garden, she still had to pinch herself. “Knowing that I was going to be part of this historic winery and family – the feeling was indescribable." At Silver Oak and Twomey Tiffany manages both on and off premise accounts in the southwestern states, working with distributors to maintain the brands’ integrity and showcase the wines. With experience in the wine industry that stretches back fourteen years, Tiffany is particularly grateful to work for a family-owned winery. “The entire workforce is a beautiful family…everyone is valued and respected. The positive energy and true happiness is palpable as soon as you walk through the historic doors of the winery." COST: FREE for All New Members and Their Guest Who Joined Within The Past Twelve Months. Enjoy a casual environment to meet and mingle with other new members to make meaningful social or business connections. Free To All New Members And Their Guest Who Joined Within The Past Twelve Months. You can attend as many (unlimited within the first year of membership) of the New Member Reception events as you can. Even if you have already attended a New Member Welcome Reception please come again! Join us on March 21st as we welcome Mark and Allie Ketchum. Ketcham Estate is a Russian River winery known for Exceptional Pinot Noir and award-winning Chardonnay, Viognier and Estate grown Pinot Noir Rose wines. Ketcham Estate is about making seductive Pinot Noir wines with rich fruits, that have structure and balance and are very food friendly. We are about family, friends, food and wine and are committed to putting a significant portion of our profits back into charitable endeavors and our local community. After all, that is what Pinot Noir is all about. We are not about what the famed San Francisco Chronicle columnist Herb Caen used to call the “Prismatic Luminescence School of Wine Tasting,” or any type of www.canadagoosejakke.co wine snobbery. Just good wine with food, family and friends. Wine should not be some grand complication and neither is our philosophy. Our commitment to the quality model is uncompromising in all aspects of our wines. We’ve written the checks to prove it. How do you make a small fortune making Pinot Noir? Answer: Start with a large one. Our age-appropriate courses for children ages 6-12 are informative, interactive and, above all, fun. Topics include fine dining table manners, direct eye contact, firm handshakes, posture, and more. What should my child wear to the etiquette classes? Dressy attire is requested for Monday’s class. That’s a Dress for girls; Jacket, a shirt with collar and nice pants, for boys. Please, no jeans or tennis shoes. Professional Qualifications: As a vice president & lobbyist with the Louisiana Association of Business & Industry, Emily invested almost three decades persuading recalcitrant people to do the right thing for the long term, even if it weren’t politically expedient or popular. She is still deeply committed to making Louisiana a better place to live and do business, and is the Director of Leadership Baton Rouge with BRAC. Since 1992 she has indulged her love for all things green as a landscape contractor, and for 13 years as a special events florist. But protocol and etiquette have always been a passion, and she is delighted to be offering corporate etiquette, dining skills, electronic etiquette, job interview skills, understanding generational differences, international protocol, country briefings and cross-cultural communication training to people who aspire to outclass the competition. Wine Society members are invited to enjoy a truly fantastic "Blind Tasting" of wines as well as excellent culinary pairing from Chef Brandt. This is an evening you won't want to miss! Committee members of the Women of the City are Helena Cunningham (Board Member), Renee Chatelain (Board Member), Pat Felder, and Sylvia Weatherspoon. Join the Women of the City during our Monthly Happy Hour networking event on Wednesday, March 13th!! City Club Closed for Mardi Gras Day! in observance of the Mardi Gras Day Holiday. We will re-open on Wednesday, March 6th. 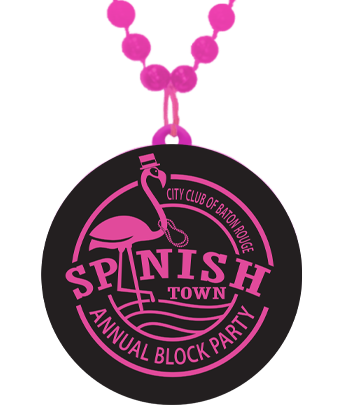 It’s time for our annual Spanish Town Parade Block Party! City Club is once again hosting the premier block party for one of Baton Rouge’s most popular parades. There will be plenty of fun for the kids and traditional margaritas for the adults. Price Includes All of Our Great Food and Booze including Margaritas as well as Darren’s Bloody Mary’s. Outdoor Grilled Hamburgers, Hot Dogs and Barbecued Chicken! Of course, we’ll have plenty of our great food to enjoy while watching the parade from the best seats on North Boulevard! PARKING: There will be no parking available at the Club. We suggest parking between North Boulevard and Government Street. WE APOLOGIZE IN ADVANCE FOR ANY INCONVENIENCE. Valentine’s Day Romantic Dinner with Harpist Cathy Anderson! in preparation for the Valentine's Day Dinner. Join the Women of the City during our Monthly Happy Hour networking event on Wednesday, February 13th!! Please join us Thurs., Feb. 7th at 6:30pm for a Sparkling Sauternes and Red Wines Tasting (Wine Discussion before). Wine Society members come enjoy some truly fantastic wines as well as excellent culinary pairing from Chef Brandt! *Limited to no more than 20 attendees. Tasting and Class Reservations Required. Special Date: Wed., Jan 23rd, 2019. City Club Closed for Martin Luther King, Jr. Day! in observance of the Martin Luther King, Jr. Day Holiday. We will re-open on Tuesday, January 22nd. Please join us Wed., Jan. 16th at 6:30pm for a American Wines Tasting (Wine Discussion before). Wine Society members come enjoy some truly fantastic American wines as well as excellent culinary pairing from Chef Brandt! Wine Society members are invited to enjoy some truly fantastic wines as well as excellent culinary pairing from Chef Brandt. This is an evening you won't want to miss! City Club Closed for Christmas holiday! The City Club will be CLOSED in celebration of the Christmas Holiday. Please join us during our normal business hours on Thursday, December 27, 2018. We Wish Our Members and Staff a Merry Christmas!